Printed on top quality laid card stock, the card is in a lovely shade of beige, finished with a beautiful little recycled cardboard tag attached to the corner of the card with a 'handmade' sticker and a jute twine detail at the bottom for that natural - yet sophisticated look. The tag can be personalised with a short message. 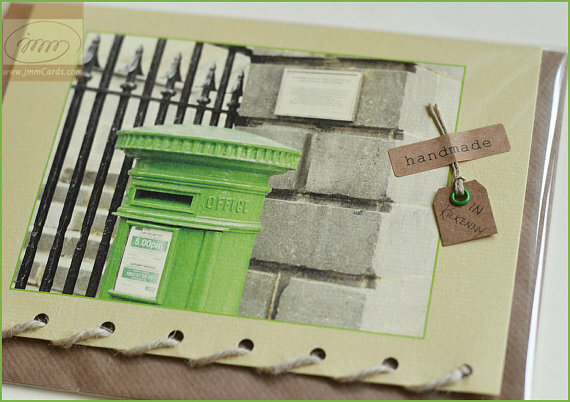 The card comes with a matching natural brown, ribbed envelope which makes a lovely finishing touch.